What will happen if the Republicans retain the House and Senate in November -- if some combination of gerrymandering, voter suppression, race baiting, third-party malfeasance, media fail and voter apathy suppresses the Blue Wave? It is unthinkable, but let's think about it anyway. Trump would feel vindicated and emboldened to double or triple down on his authoritarian white nationalist agenda, punish his political enemies, pardon his friends, and continue to degrade the office of the presidency through corruption and abuse of power. The Senate would continue to confirm right wing, Trump-friendly judges at an unprecedented rate. Meanwhile, the Special Counsel's investigation would be shut down or muzzled. Indeed, two key Senators -- Lindsay Graham and Charles Grassley -- have already strongly signaled that they would welcome Trump's firing of Attorney General Jeff Sessions. Sessions, of course, recused himself from the Russian investigation after it became clear he had lied during his Senate confirmation hearings about his own Russian contacts. To his credit, it appears that he has not attempted to insulate the president from the investigation which was why he was appointed in the first place. A new AG or an interim one would not be so constrained. But even assuming Mueller survives unscathed and wraps up his investigation, a hostile AG and a supine Congress could keep the report bottled up, in whole or in part. We may never see the evidence, findings or conclusions of the investigation. In any event, there is already a consensus that a sitting president cannot be indicted and that a president's removal or other sanction can only come from Congress. 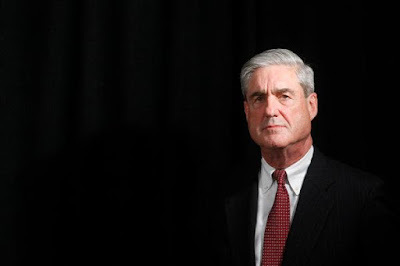 So, if we are all waiting for Mueller to provide the explosive report that would lead to Trump's removal, it is not going to happen unless Democrats control Congress and do some work on their own. If the Democrats do take back at least the House -- and if they are willing to use their power to launch aggressive investigations of Trump's corruption and abuse of power (I know, that's a big "if"), then all bets are off. And I'm not talking about impeachment -- yet -- which would require not just a majority of the House to impeach, but 2/3 of the Senate to convict. First let's get the evidence and see what where it takes us. Maybe, ultimately, impeachment. Maybe the facts will be so damning and the liability to Trump, his family and his businesses so serious that he would resign -- take his ball and go home with some self-deluded justification that he and his cult could get behind. Use their control of the Ways and Means Committee to obtain and release Trump’s tax returns so that we finally learn what he has been hiding. Hold hearings on the ways Trump is personally profiting off the presidency and potentially violating the Constitution’s emoluments clause. Mount a serious, comprehensive investigation into the Russian attack on the 2016 election and the Trump campaign’s cooperation with that attack. Investigate accusations of wrongdoing that have been leveled at Cabinet officials such as Wilbur Ross and Ryan Zinke. Demand answers from the administration on the decision-making process and effects of controversial administration policies, such as adding a citizenship question to the census, relaxing rules for power plant emissions, making it easier for private “universities” to scam students, and tearing children from their parents’ arms at the border. Nonstop congressional investigations will attempt to illuminate every dark corner of an administration in which the kleptocracy extends from the Trump family to most Cabinet departments. Those close to Trump, both in his family and in his immediate circle, will fear for their futures, both legally and financially. The GOP and the Trump Organization alike will be on the ropes, and in full panic. This is evident from the wrongdoing already apparent — indeed, already the subject of indictments and guilty pleas. But this can only happen if Democrats regain Congress. So while we wait for more of Trump's former cronies to make immunity or plea deals, for more indictments and prosecutions, for the drip, drip, drip of tantalizing facts that hint at the depths of Trump's corruption and depravity, and for Mueller's next steps, we need to do what we can do -- work on ensuring the Democrats win in November.